We aren't quite settled into a new routine yet, but have been savouring this newborn phase as much as possible. I am loving all of Thomas' snuggles and new baby sounds; he's just so little! Besides recovering from delivery, the most challenging part of being a new Mom again is breastfeeding around the clock. It certainly is easier the second time around, but it still surprises me how all-encompassing and worrisome it can be to make sure that everything is going well. That's why these lactation cookies are my favorite little treat. When James Robert was born, my sister in law lovingly made me a tin of these cookies and I remember them fondly. 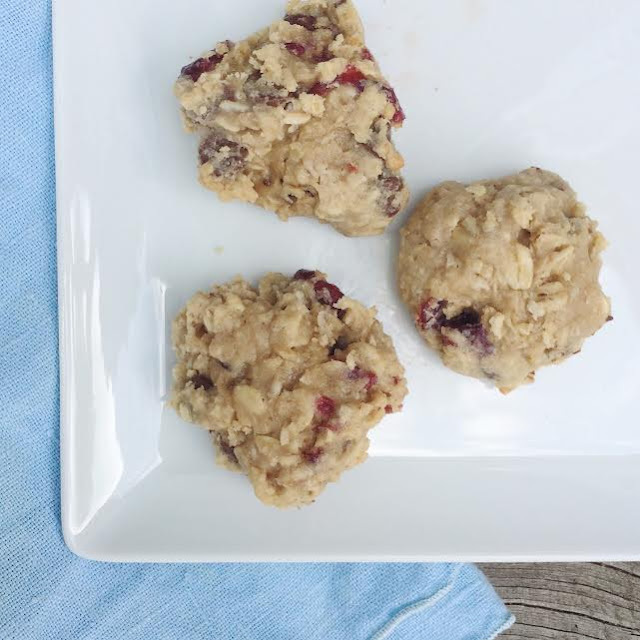 The best part about lactation cookies is not having to share-- having a little dessert all to myself is an indulgence that I look forward to each day! These lactation cookies are made with brewers yeast and oats to help support your milk supply. I supplemented the original recipe by adding dried cherries and chocolate chips (feel free to omit if you dare). A week or so before my due date, I made a batch of this dough and portioned it out into balls and froze them. Now I can just pull out a few and pop them in the oven in order to have fresh cookies everyday. 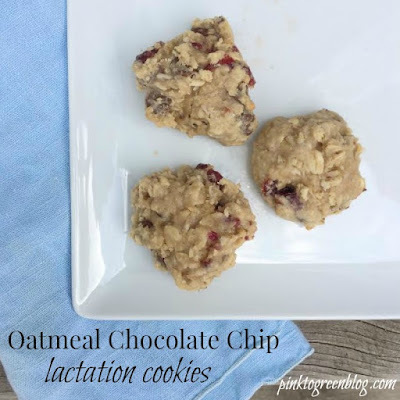 Lactation cookies are the perfect treat to gift yourself or a new mama! 2) Mix the flax seed meal and water and let sit for 5 minutes. 3) Beat butter and both sugars until fluffy then add eggs and beat. 4) Add flaxseed and vanilla and mix well. 5) Sift the flour, baking soda, salt and brewers yeast together. 6) Add dry ingredients to butter mixture, once well mixed add in oats and chips + dried fruit or nuts. 7) Scoop onto baking sheet and bake for 12 minutes. 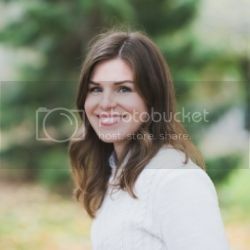 Just about all of my friends are pregnant or just had babies so I am saving this one! Plus they look delicious! Oh!! Tucking this recipe away for the future! !